Atlantia shares have fallen 30 pct on fears the government may cancel its contracts after a fatal bridge collapse. The tragedy reinforces the case for more investment. The government’s treatment of the toll-road operator will determine whether investors are willing to play along. Rescue workers are seen at collapsed Morandi Bridge in the Italian port city of Genoa, Italy August 14, 2018. Shares in Italian toll-road operator Atlantia lost more than a fifth of their value on the morning of Aug. 16 after Deputy Prime Minister Luigi di Maio said the state may take over the country’s motorway concession following the collapse of a bridge in Genoa. 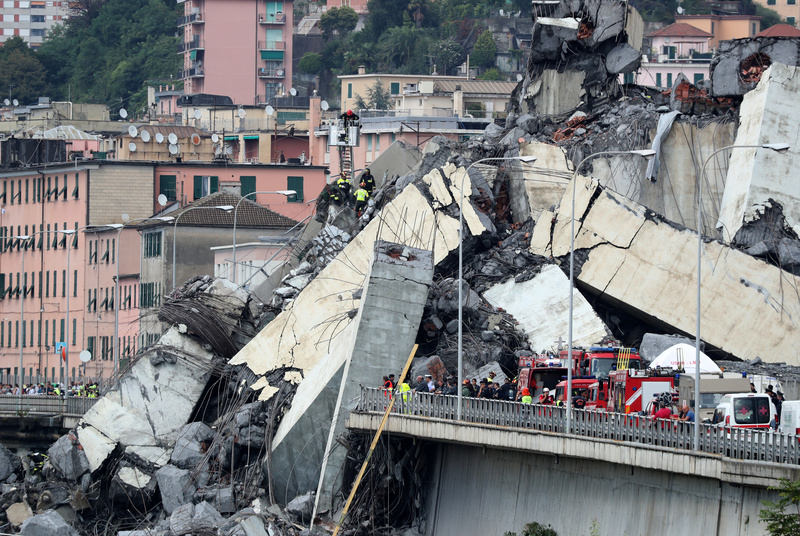 The collapse of the Morandi Bridge, which is part of the A10 motorway operated by Atlantia, killed at least 38 people. Di Maio, whose 5-Star Movement leads a coalition government with the League party, told Italian radio the state will have to take over motorway concessions if companies who operate them are not able to do the job properly. He added that Atlantia should have invested more in security instead of being concerned about dividends. Atlantia said in a statement that in the event of any revocation of the concession, it would be entitled to an indemnification payment equal to the residual value of the concession, net of any penalty owed. Atlantia shares were down 25 percent at 17.6 euros by 0900 GMT on Aug. 16.